Sixteen authors share stories and poems about a country ripe with contradiction: an arid landscape filled with lush gardens; the practice of elaborate Christian rituals in churches echoing a rich Islamic past; a land of bullfighters, gypsies, poets, philosophers and scholars; a place where duende and alegría coexist. 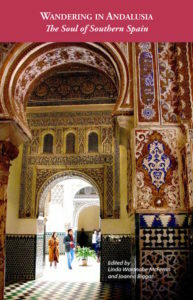 I lost myself in the history and soul of Andalusia on this, my second visit. I contributed two stories to the book, “Seville’s Most Holy Week,” about the magic and madness of semana santa (Holy Week) in Seville and “In Search of a Shining Moment,” which looks back to the time when Christians, Jews, and Muslims worked side by side to create a flowering culture. I remember that night in Seville as a whirling blur of light, color, music, and raw emotion. Yellow candles flickered on a raised carpet of red roses; the air quivered with the scent of incense and orange blossoms; my ears rang with the hypnotic dirge of drums and the wail of trumpets in the minor key of grief. 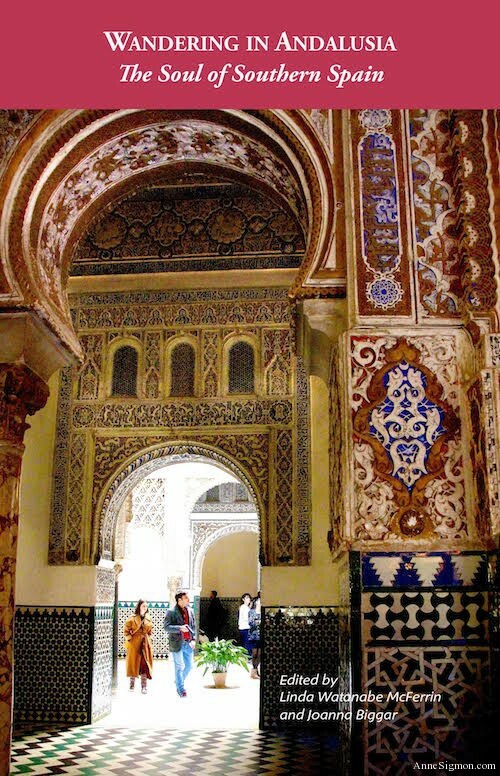 The calming magic of the Great Mosque enveloped me as soon as I stepped over the threshold. In the hypostyle hall, a hypnotizing array of double horseshoe arches—vivid in alternating stripes of white stone and red brick—marched toward infinity. Yellow light radiated from lanterns that swung low in the dim hall. Scents of incense and earth drifted by, the mineral smells of great age. 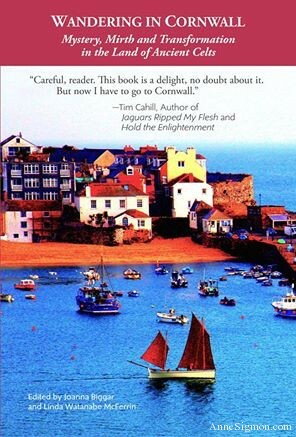 The stories in this book, including two of mine, venture deep into Cornwall, exploring its castles, its contrast to Camelot, the lingering shadows of Arthur’s, to sorrows buried deep in its history on windswept moors and jagged coasts. Yet, they also encounter the hospitable Cornish, with their enchanting accents, their delightful yarns, their humor, their endurance. They wander, bicycle, hike and kayak to explore hills, waterways, villages and moors in search of the spirit of artists and writers who have come before them to leave an imprint on this untamed land. My story “Southern Girls,” published in Charleston and the South, joins with tales from other members of the Southern Sampler Artists Colony to celebrates live as spicy as low-country gumbo and as rich as bourbon-laced pecan pie—stories we’re pleased to share with those in need of a little armchair travel. 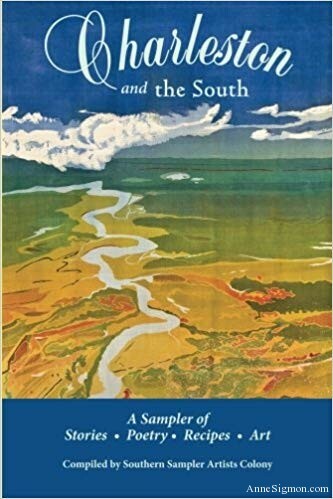 Pour some sweet tea, settle in the nearest porch swing, and savor these unique and varied stories inspired by bountiful Southern history and hospitality. “Old Charleston smelled of sea salt, river marsh, and antique brick. The azaleas stole the show, strutting their crimson blooms here and all over the South every April. But it was the sticky sweet fragrance of gardenias and the musky scent of boxwood that carried me back to my youth—to three sultry Carolina coming-of-age years when Barbara was my first best friend. 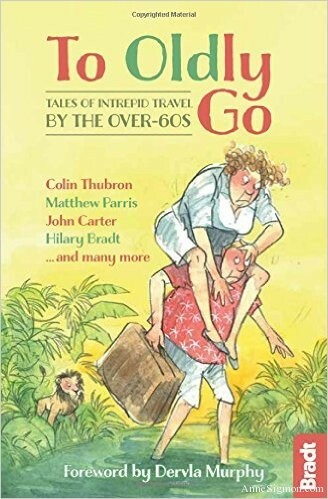 While I don’t think of myself as an “oldlys,” I’m happy to be part of this collection of 41 true travel tales from the over-60 crowd: Dervla Murphy travelling in Cuba at the age of 74, Matthew Parris swimming the Thames at 60, and Colin Thubron climbing the last stronghold of the Assassins. I join them in defying expectations—and the odds—venturing outside our comfort zones onto a less-travelled path. 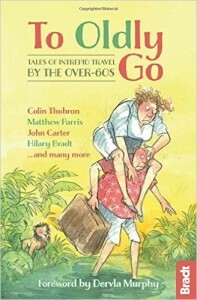 From the publisher: To Oldly Go is a collection of challenging and unusual travel escapades. Some stories are thrilling, some thought-provoking, and some just plain fun, but all celebrate an irrepressible appetite for adventure. 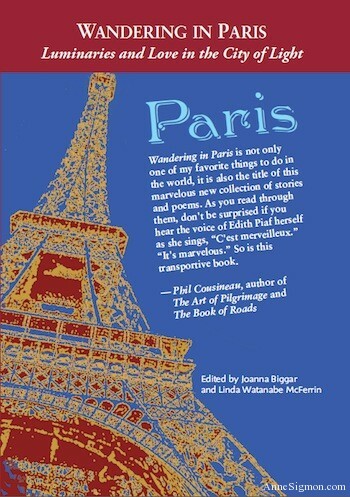 Two of my stories, “My Phantom of the Opera” and “The Bracelet,” appear—along with 24 other stories and poems—in the award-winning anthology Wandering in Paris — Luminaries and Love in the City of Light. More than a city, Paris is actually a world of its own, and the stories in this collection uncover some surprising new facets of the much-celebrated metropolis. My fellow writers connect with all that makes Paris astounding: Addressing Parisian luminaries, art, fashion, music, cuisine and passion, they present a sometimes shimmering, sometimes shadowy picture of a city that defies cliché. Wandering in Paris won top honors from the 2013 London Book Festival in the anthologies and collections category. “Bali Shadows and “Authentication Failed,” join twenty other stories and poems, some mystical, some funny, some terrifying–in the anthology Wandering in Bali—A Tropical Paradise Rediscovered. From computer glitches to shadow puppets, temples, Balinese feasts, classical music and dance, I and my fellow writers sample and share the multiple faces of Bali. 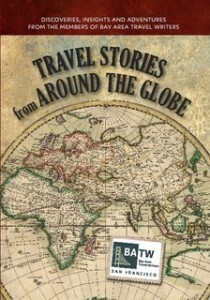 Surprise, serendipity, connection, and personal transformation — you’ll find them all in this delightful anthology of 23 juried stories by San Francisco’s Bay Area Travel Writers. Introduction by Don George, Editor-at-Large for National Geographic Traveler. What do toboggans and bouzouki music have in common? They both represent steps on my potholed road to recovery and my return to adventure travel. Published in the travel anthology Chicken Soup for the Soul: Find Your Happiness, 101 Stories about Finding Your Purpose, Passion, and Joy. Chicken Soup for the Soul Publishing, 2011. 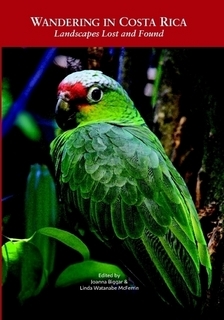 Published in the travel anthology Wandering in Costa Rica:Landscapes Lost and Found, Wanderland Press, October 2010. When you’re as afraid of snakes as I am, a Costa Rican jungle is (perhaps) not the best place to travel alone. Or is it? Strokes can affect anyone at any time, but you can significantly reduce the likelihood of having a stroke by lowering your risks. 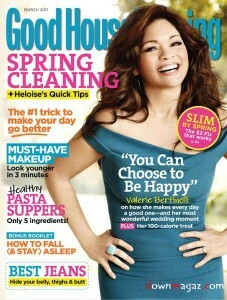 Read how in my story for Good Housekeeping. Read it here. 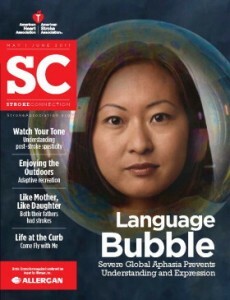 Stroke Connection Magazine, a publication of the American Heart Association. I was dumbfounded after it happened. Only 48 years old and perfectly healthy. How could I have had a stroke? Read about the hidden risk factors for stroke you need to know about to reduce your own risk. Read it here.